B2B Influencer Marketing is Dead - All Hail Marketing to Influencers! B2B Influencer Marketing is Dead – All Hail Marketing to Influencers! 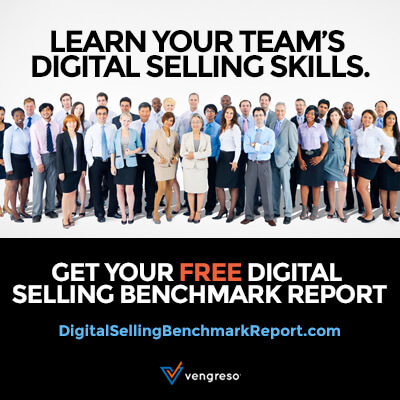 VengresoCase Studies B2B Influencer Marketing is Dead – All Hail Marketing to Influencers! Dayle Hall, SVP of Marketing at Lithium Technologies, is joining me for this special UpClose Podcast Series. In this five part series, we are looking at The 5 Most Influential Topics for B2B Marketing. In episode one, Dayle explains effective B2B influencer marketing and reviews a few case studies of B2B brands succeeding at influencer marketing. Lithium Technologies helps brands to navigate the sometimes foreign world of social media marketing and management, social customer service, online communities and social analytics. A leader in the space, they’re guiding brands to build trust with their clients while delivering top-notch customer experiences. Dayle is in charge of all strategic marketing initiatives at Lithium and has received multiple marketing campaign and design awards. Before Lithium, Dayle worked with Agora to help establish the brand as the market leader in the networking business. Get all five episodes in one recording plus Social Business Journal Volume 10 now. A lack of understanding has led to many unsuccessful B2B influencer marketing programs. 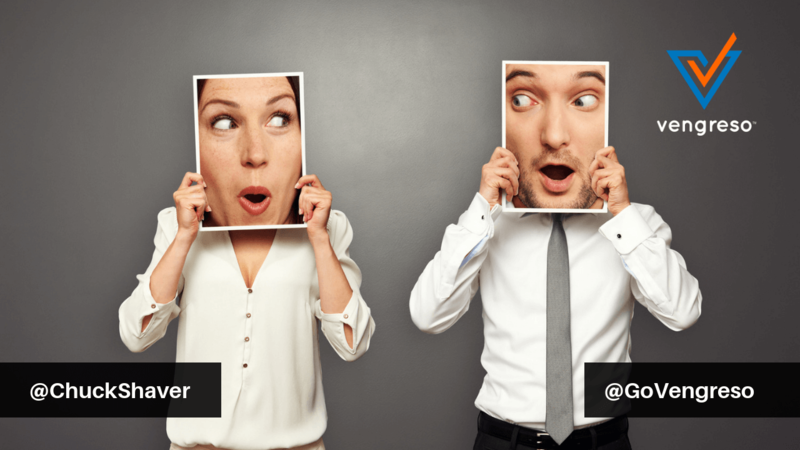 Let’s take a look at what effective B2B influencer marketing is and is not. A celebrity plugging your product or service is not influencer marketing. Expecting a thought leader in the business world or Fortune 50 executive to engage in a short-lived influencer campaign for your brand can strain credibility and is NOT influencer marketing. A one-time endorsement is not influencer marketing. Finding and partnering with people in your community/industry who have an influence on your target audience. Dayle reminds us to keep in mind that “they are different influencers, at a different level, with different focus areas or concerns.” You can’t blast them with the same content and expect the same result from every influencer. Encouraging consistent and relevant advocacy by building trust. Trust drives better influencer marketing results. Effective influencer marketing can yield great results. It’s the modern version of word of mouth marketing that brings in new customers. 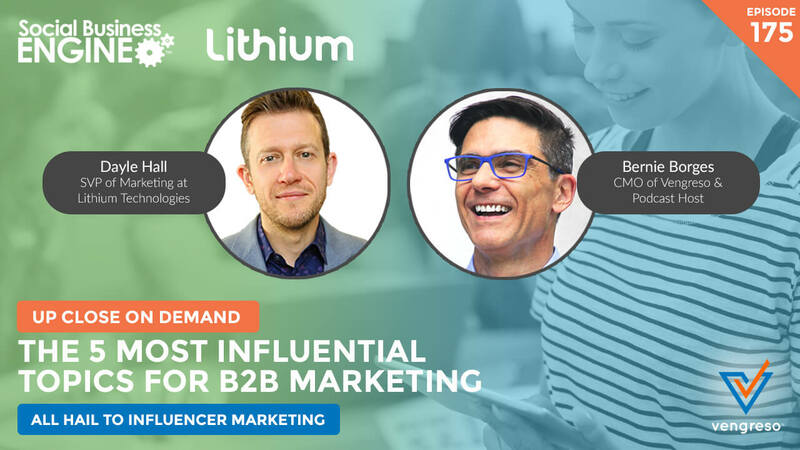 GoDaddy engaged Lithium to help them enhance customer relationships and identify influencers and advocates. They wanted to get customers involved in their community learning space about GoDaddy products and services. Before launching the community, GoDaddy worked with 150 customer volunteers for five weeks to create engaging and compelling content. The community serves as a learning environment and encourages customers to purchase more products. An unplanned benefit was a jump in organic search results by 50%! Using a Lithium solution, Domo engaged influencers by inviting their business management platform customers to suggest software product-improvement ideas. Lithium helped to drive and measure collaboration with community members leading to over 500 submissions. Domo has approved some of the ideas and implemented them as product improvements. Aruba Networks, a Wi-Fi networking company, focuses on developing the personal and professional development interests of their community. The content Aruba creates is around trending industry topics and not just their products. Aruba strives to bring personality to their influencer and engagement program. Aruba receives 75,000 plus social engagements per month from which users can migrate to the Aruba community. As you can see from these examples, B2B influencer marketing is alive and well when it centers around building authentic community with influencers. Since Dayle is such a stylish individual, I asked him what’s in style this season with B2B influencer marketing. He said user-generated content is making a comeback. The only cost in obtaining authentic content from your fans is the time it takes to build those connections. Looking toward next season, he says that customers and influencers (often they are the same) will start to drive campaign ideas. B2B marketers must map their content from their influencer network or fall behind. This Up Close podcast series is sponsored by Lithium Technologies. P.S. Join us September 13th for episode 2 in this UpClose Podcast Series, Data overload: How do you harness it? Or, you can listen from your mobile device’s podcast player through iTunes or Stitcher. 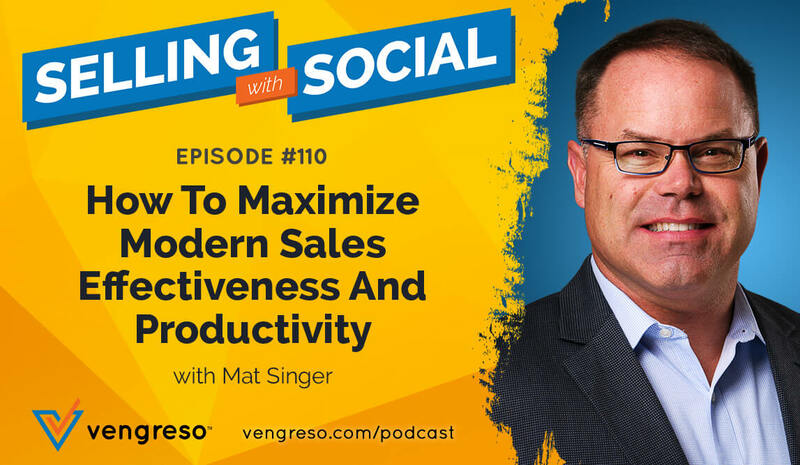 This podcast originally appeared on Social Business Engine.